THE results are in. Ian Fleming ‘s James Bond liked a drink. 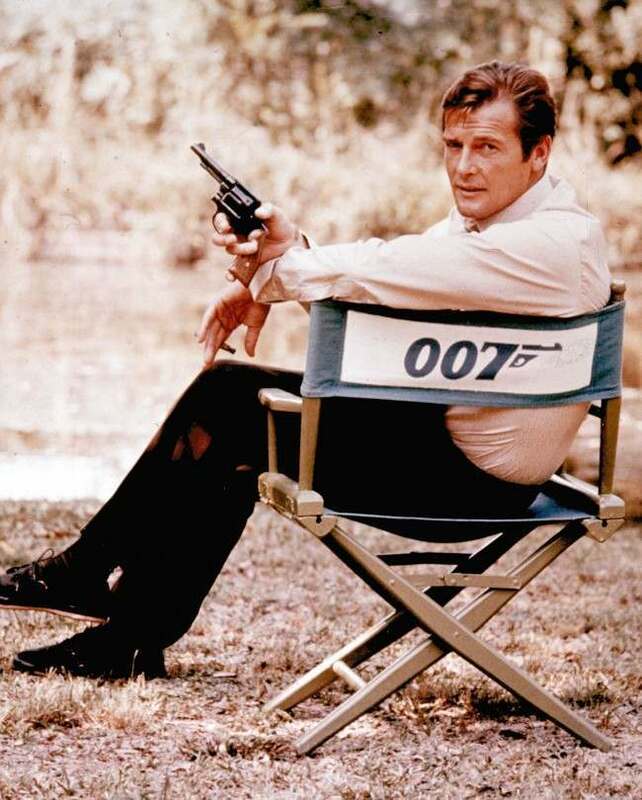 Science says there is no way … that Bond would have been able to consume the amount of alcohol he is described as drinking … and still have kept up the precision, coordination and critical thinking skills that made him such a successful agent”. Next they’l be tell us that Superman would have been a major hazard to air traffic. Rachel Nuwer looks at the work by British doctor Patrick Davies, from Nottingham University Hospitals NHS Trust, and a colleague. To expose Bond for the drunk he really is, the team combed through all 14 of Fleming’s Bond novels, taking note of any reference to booze. 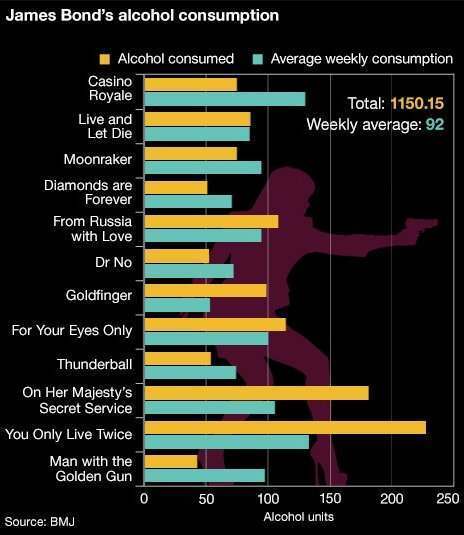 If the novel didn’t specifically mention Bond drinking for a while, they filled in unknowns with conservative estimates. They also took note of days in which the agent would have found it impossible to drink, such as when he spent time in prison. At which times he smoked dried banana skins and smack. They used predefined alcohol unit levels to then calculate just how much drinking the character was doing on a weekly basis, which wound up totaling 92 units, or more than four times the recommended amount of alcohol. (Needless to say, on many days, Bond should not have been driving.) Out of 87 days they tallied, Commander Bond took a break from alcohol for just 12 of those days. “The level of functioning as displayed in the books is inconsistent with the physical, mental, and indeed sexual functioning expected from someone drinking this much alcohol,” the authors write. Excessive alcohol consumption is thought to cause 2.5 million deaths every year around the world.